RARE Deal on Horizon Organic Milk!! 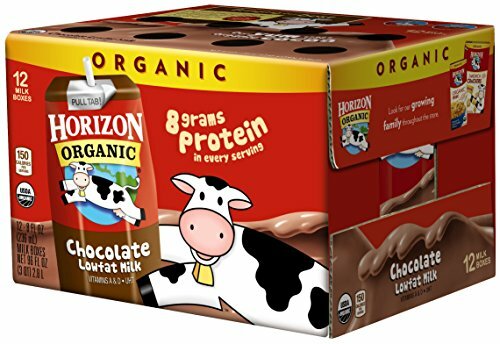 HORIZON ORGANIC Low Fat Chocolate Milk is USDA Certified Organic and part of the National Organic Program, which prohibits the use of GMOs. Our milk boxes are a choice you can feel great about packing for school lunches or road trips to Grandma's. ORGANIC MAKES ALL THE DIFFERENCE: Our products are always made without GMOs, & our cows are pasture-raised on family farms without antibiotics or . When it comes to food, we think it's best to stick to the basics & keep the weird stuff out.